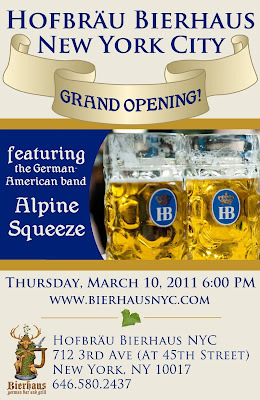 Congratulations to our friends Paul, Tom and James on the opening of their newest establishment, Bierhaus. The owners are veterans of NYC nightlife (Bull’s Head Tavern, Black Bear Lodge, Whiskey River, Mad Dog & Beans) and now add a German bier haus to their repertoire. 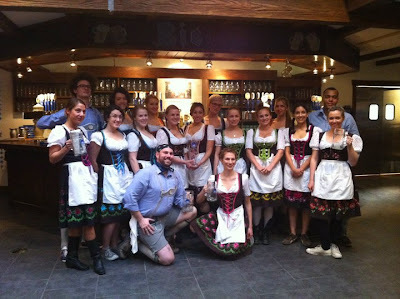 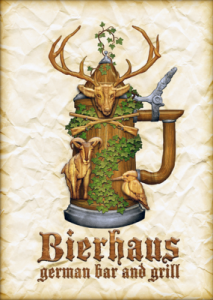 Bierhaus will serve traditional Bavarian cuisine and six varieties of Hofbräu beer.